For the first time since a deadly crash, Metro will restart use of an automatic train mode. News4's Adam Tuss reports. Metro General Manager Paul Wiedefeld says riders are officially declaring that the transit system is in "good" condition, and he is eyeing much bigger things to improve service within the next year. In an exclusive interview with News4, Wiedefeld promised that in 2019, Metro’s entire fleet of trains will return to a computer-controlled automatic mode during rush hours for the first time since the deadly 2009 Red Line crash that killed nine people near the Fort Totten station. "We are very comfortable. Obviously we wouldn’t do it unless we were comfortable. We will be rolling with it pretty soon," Wiedefeld said Monday. Metro’s Automatic Train Control system was blamed for the crash that killed nine people in 2009. That system lost sight of one train as it approached another from behind. The crash also led to the shutdown of the Automatic Train Operation system, which keeps trains spaced properly and running smoothly. But all of that will be changing. "The computer starts to manage the system for us, so it’ll be more efficient," Wiedefeld said. "It’ll draw less power, and it will be a smoother ride for our customers." Right now, all trains are manually controlled by train operators. Almost a decade after the deadly crash, Wiedefeld said he is confident a new, safer system can be put in place. Train door opening functions also are set to return to automatic operation, eliminating long wait times for some doors to open. Train operators still will be responsible for closing the doors on trains. 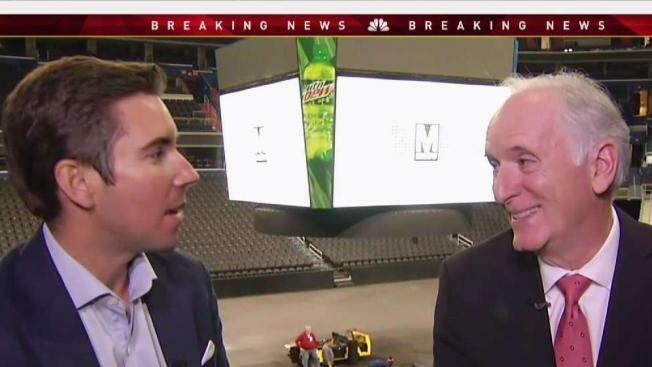 The Metro general manager met with about 2,000 of his top managers at a crowded, high-level event at Capital One Arena Monday, telling them that it is time for the system to be "better than good." Metro has run a public relations campaign for the past year, telling riders the system is getting "back to good." Now, Wiedefeld believes goals are being met. "So you are saying you’re good?" he was asked. "I’m saying that the customers are saying we are good. We [now] have to be better than good," he responded. In a wide-ranging interview, Wiedefeld also addressed recent reports about running more service on the system to attract riders. "We want to do more service wherever we can, and there’s a dollar figure attached to that. That’s an issue that the locals have to decide. Do they want it?" Wiedefeld said. An optimistic-sounding Wiedefeld also said that in the next year, you’ll be able to use a Metro app to pay for rides using your smartphone on existing faregates. Wiedefeld said the bus network will get upgrades, with technology that could give them priority at traffic lights. And more bus lanes could be coming. All in all, Metro’s general manager spoke ambitiously. "All these things that you are talking about are not maintenance. And that’s probably music to a lot of people’s ears. Are you scaling back the maintenance in some sections?" He was asked. "No, it’s just the opposite," Wiedefeld said. "It’s because we are ahead of the maintenance that we can start to think about these things."